Get down! Let’s do the geometric jam! If you’re ready to dance, grab the Finz Geometric Jam Tri Back Women’s One Piece. Every time you slid on this gorgeous suit, you’ll feel ready to boogey the night away. With a charcoal background and sunshine yellow strap accents, this jammin’ geometric one piece features a vibrant turquoise, cobalt, sapphire, lemon, and lime diamonds beside a canary yellow Finz logo at the hip. 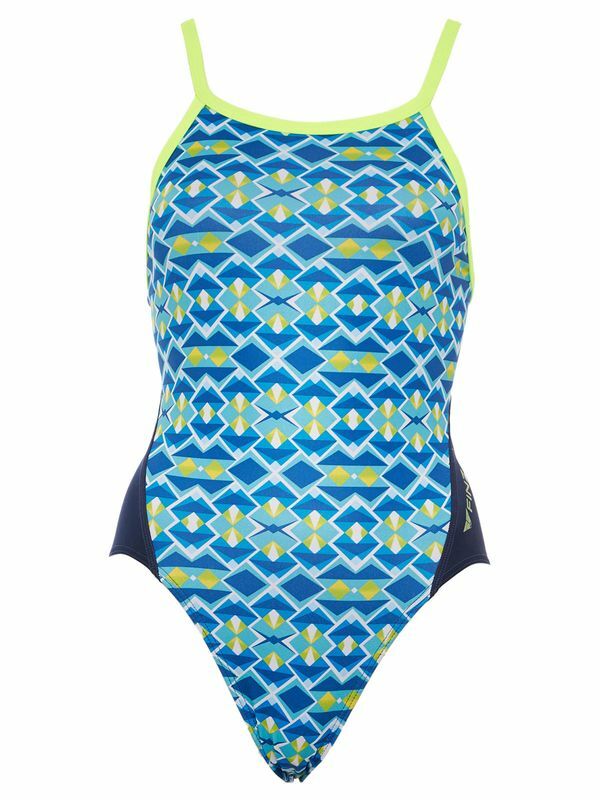 Designed with 100% PBT fabric and built to last endless hours in chlorine water, the Finz Geometric Jam Tri Back Women’s One Piece can stand up to anything and everything that you can throw at it.